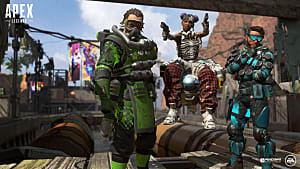 Apex Legends is the only battle royale game that has hero shooter mechanics, featuring characters, called "Legends," with unique abilities. 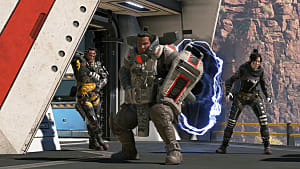 This means that combat is more than just finding weapons and shooting one another, with some characters acting as great scouts and others playing more supportive roles, offering up heals and defensive gear drops. All of the characters are viable in the right hands, and, because of this, some players may want a general character guide. That way, they can learn about what characters are best suited for any given situation. Bangalore is your typical soldier, the possibility of an interesting backstory notwithstanding. She can be a great asset when it comes to dishing out punishment, but her passive and tactical abilities lean towards surviving a bad encounter rather than putting up a straightforward fight. Bangalore can fire a high-velocity smoke canister from her shoulder cannon, creating a wall of smoke on impact. Taking fire while sprinting makes Bangalore move faster for a brief time. Bangalore can call in an artillery strike that travels slowly across the ground. As you can see, her skillset is mostly built for survival. Tossing out a smoke grenade before dashing around a corner, is a good way to lose pursuers, and her Rolling Thunder ability can cause havoc among those who choose to chase her down. Hiding the strike in a cloud of smoke can also lead to multiple downed opponents. Though her abilities (sans the Ultimate) are tailored for defensive maneuvers, she can use them offensively as well. Popping her smoke and running towards an enemy, while wielding a shotgun, has often turned the tables in a fight. I mean, if she’s getting shot anyway, why not make the best of bad situation? Bloodhound is a tracker with abilities reminiscent of the trackers from Evolve – that old Turtle Rock shooter. Thanks to his keen senses, he’s able to spot hidden danger and hunt down unsuspecting prey using their footprints. 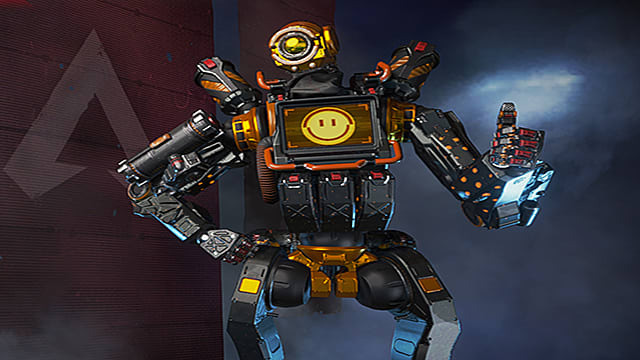 Once activated, this ability allows Bloodhound to briefly see hidden enemies, traps, and clues throughout structures directly in front of him. Bloodhound is able to see the tracks left behind by rival players. This ability enhances Bloodhound’s senses, allowing him to move faster and highlight any enemy he sees. Bloodhound’s role on the team shifts between assassin and scout. When heading into a new area, it’s often wise to scan the area using Eye of the Allfather, especially if he notices lingering footprints, as no one wants to walk into an ambush while searching for loot. That said, enemies can see his scan, alerting them to his presence. He’ll have to make sure his team is ready to fight before surveying an area. When the bullets start flying, his Eye of the Allfather can help keep him one step ahead of an enemy, as it’s hard to flank someone who can see through walls. Chasing down rivals is also easier with his Ultimate; not only does he move faster than everyone else, their bodies glow red. Getting the drop on someone who thinks they’re hiding is the perfect way to close out a fight. Caustic can drop up to six canisters that releases deadly gas when shot or triggered by enemies. 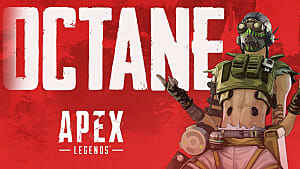 Caustic can see enemies through his gas. 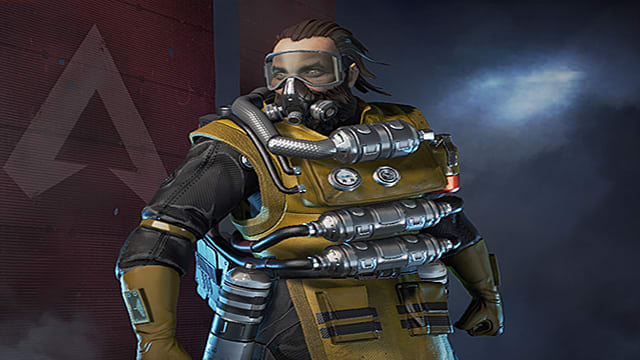 Caustic likes to set traps in hopes of poisoning foes. While he enjoys such practices, his ability to manipulate the area around him is also priceless in a prolonged fight. Setting up some traps near entrances or around loot, preferably out of sight, can help soften up intruders, and, if things turn hairy, Caustic can cover an entire room with gas using his ult. This can hinder his allies, as the gas makes it harder for them to see, but the pros outweigh the cons. 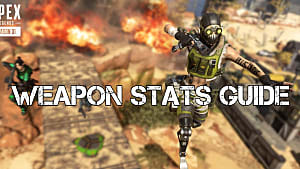 His enemies will suffer the same effects as well as take damage over time – dropping the gas grenade right before going down can keep Caustic from being killed. Again, his control of an area is what makes him a threat in close quarter battles. This giant of a man is the team’s support. He has multiple shields that protect himself, and others, from attacks, and, like all Legends, Gib also packs a punch. Gibraltar can throw down a dome-shield that blocks attacks for 15 seconds. 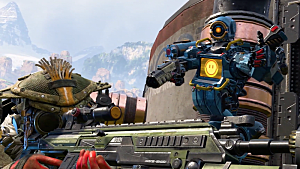 When Gibraltar aims down sights, his deploys a gun shield that blocks incoming fire. Gibraltar calls in a concentrated mortar strike on a marked position. Like I said, Gibraltar is mainly used as a support (even for himself). His gun shield is great for one on one showdowns, especially when he crouches, as the shield only protects a small portion of his body. Going low helps in hiding most of him behind it. His dome-shield is where it’s at though. 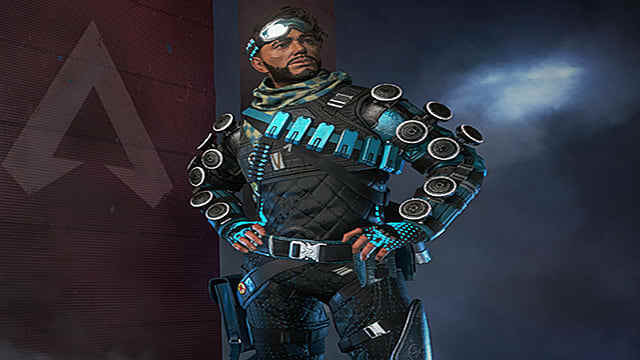 Whether he is pinned down by sniper fire and needs a few seconds of breathing room, or he’s looking to revive a downed ally without taking damage, the shield is there for him. He can’t shoot through the shield and enemies can run inside, but it can be helpful in a pinch. Gibraltar’s mortar strike is great too (as long as he doesn’t blow himself up). Of course, it’s typically used when he’s become fed up with being on the receiving end of punishment. 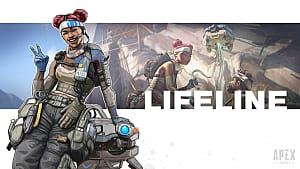 Lifeline is also a supportive character, even more so than Gib. 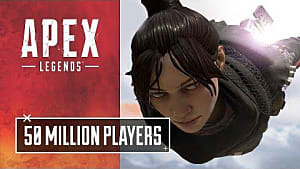 She is great at reviving allies, can heal everyone (including enemies), and has a direct link to an emergency supply drop. She’s basically a humanitarian with guns. Lifeline can summon her “Drone of Compassion” to auto heal nearby players. Lifeline quickly revives downed teammates while protected by a shield wall. She also uses healing items 25% faster than everyone else. Lifeline can call in a drop pod full of high-quality defensive gear. 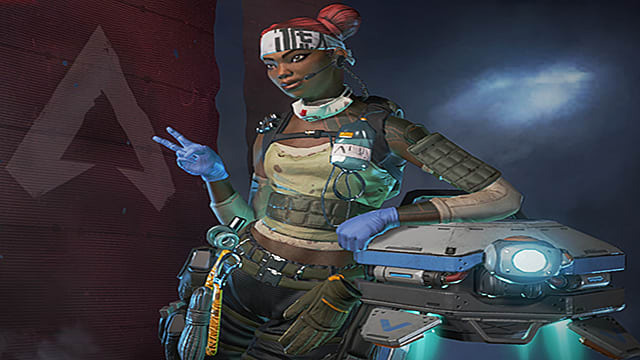 Like her code name implies, Lifeline is the lifeline of the group. Her quick revives are great at getting teammates back in the fight, and her shield makes sure she doesn’t get shot while doing it. She can also actively heal everyone; calling up her drone to improve a dwindling health bar is always a clutch move. As long as there aren’t any enemies around to mooch some health that is. While her ultimate ability isn’t offensive in nature, it’s still pretty great. Being able to call in a drop pod, carrying armor and such, is certainly helpful. This is especially true when teammates are resurrected, as Lifeline can have armor waiting for them when they rejoin the game. Mirage sends out a holographic decoy to confuse enemies. He automatically drops a decoy and cloaks for five seconds when knocked down. Mirage deploys a team of decoys to distract enemies before cloaking. Mirage’s kit is somewhat self-severing, and his abilities act as a means of getting him out of hot water. That said, they can be used in conjunction with other players — it’s possible to toss out a decoy to lure enemies into a kill zone for instance. This goes double for his ult; sending out a bunch of clones can help when trying to revive someone, when trying to flank, or when needing a quick exit from a firefight. 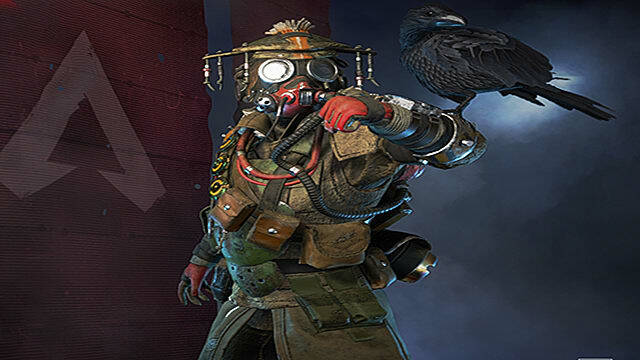 Pathfinder is Apex Legends’ true scout. Need to get up to an out of reach ledge to survey the area? Send out his grappling hook. Want to bring the squad along as well? Send up a zipline. Pathfinder can grapple up to high places. Upon climbing a survey beacon, Pathfinder can reveal the ring’s next location. 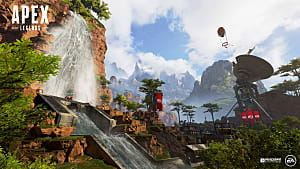 Pathfinder creates a zipline for everyone to use. Pathfinder’s mobility is unmatched. Not only can he get to hard-to-reach places, he can also make it so his team can follow him. Furthermore, being able to know where the ring is headed ahead of other players is a boon, as planning ambushes during the final moments of a match is that much easier when you know where everyone is going. What’s interesting about Pathfinder, besides everything I just mentioned, is his ability to grapple opponents. By targeting them with his grappling hook, he can pull them towards him in the same fashion as Overwatch’s Roadhog. This is great for closing the gap, snagging fleeing enemies, and/or pulling them from an elevated position to remove their high ground advantage. 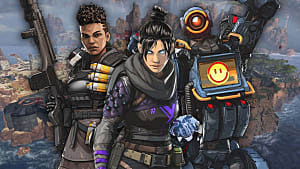 Wraith is Apex Legends’ ninja. With her ability to manipulate the void, she can seemingly be everywhere and nowhere in a manner of seconds. She also hears a voice that warns her of danger, because, why not? Wraith can reposition quickly through the safety of void space, avoiding all damage. A voice warns her when danger is near. Wraith can link two locations with portals for 60 seconds, allowing her entire team to use them. Wraith can be tricky to use. That said, in the right hands, she can take down an entire team. Her Into the Void ability lets her move quickly around while avoiding damage, maybe after being warned by the voice in her head. This is great for repositioning herself when caught in the open or escaping the blast radius of an explosive. It’s also good from chasing people down. Her ult is only useful in certain situations though. This is because anyone can use her portals, regardless of what team they’re on. That said, it is good for scavenging an area, and it’s possible to place one portal in a safe place and another near a loot drop. 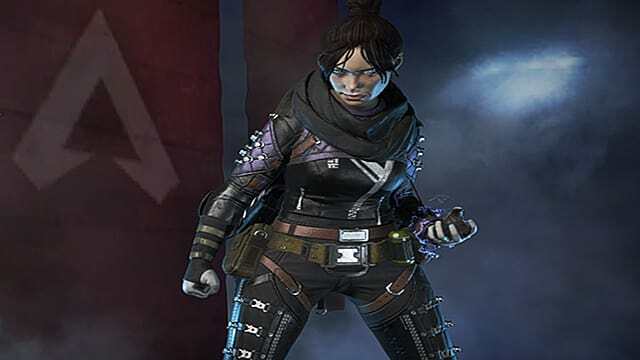 This allows Wraith to pop back to her team after snagging some items, or, better yet, she can have enemies follow her through the portal and into her team’s awaiting bullets. Well, there you have it. 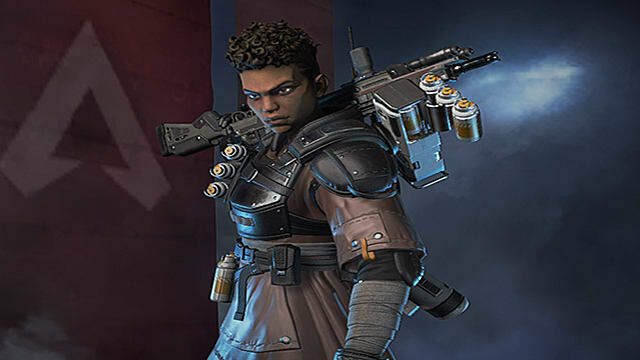 Hopefully, this basic break down of Apex Legends’ cast of characters will help you in the coming matches. 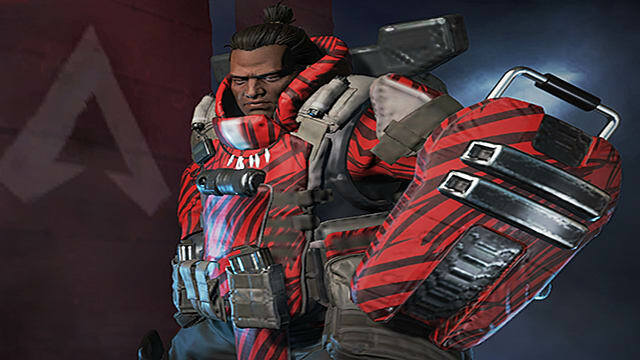 If you’re looking for a slightly deeper dive, feel free to check out our tier list and stay tuned for more Apex Legends guides.